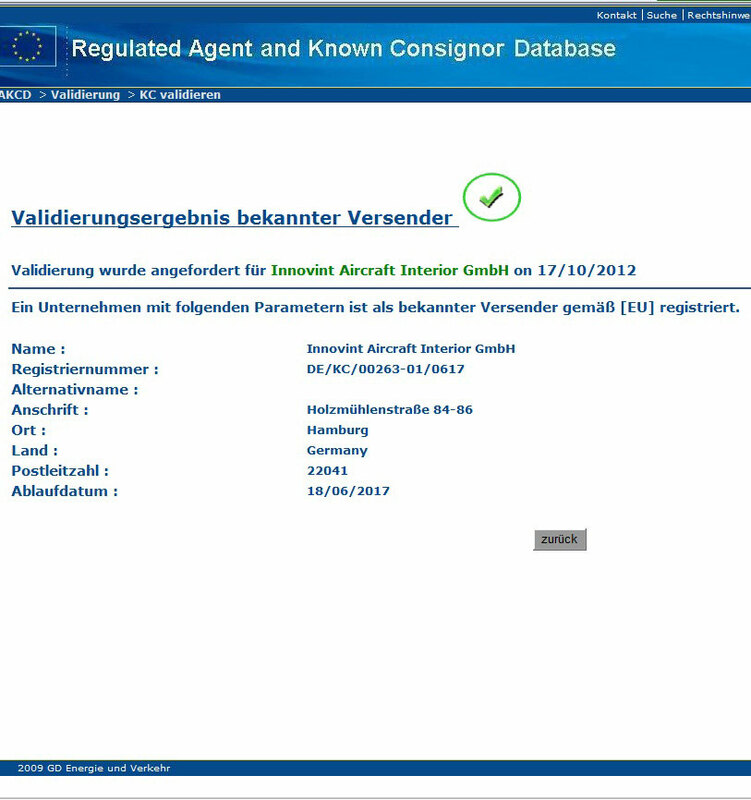 Airworthiness Approvals - innovints Webseite! As an OEM and supplier to the international aviation industry Innovint performs under a strict quality management. Standards and procedures described in our quality management handbook ensure that all products meet the specifications of each individual contract. 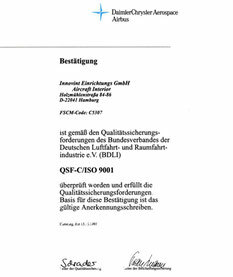 The quality management system comprises the EN 9100 requirements and most importantly the regulations of the European Aviation Safety Agency (EASA) and the Federal Aviation Administration (FAA) as well. 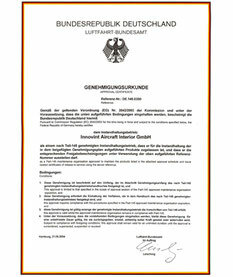 Under the legal jurisdiction of the National Airworthiness Authority (Luftfahrt-Bundesamt, LBA) Innovint was awarded the Production Organisation Approval 1999. 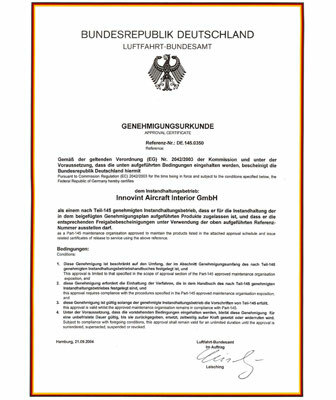 This approval indicated a milestone in the company history. Today it contains the EASA rating in section C1 for cabin interior appliances. 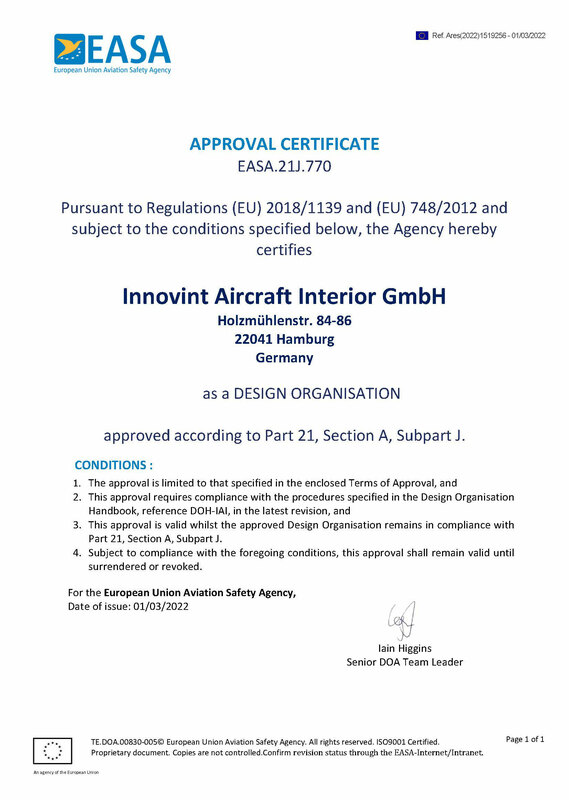 Innovint was awarded with the Maintenance Organisation Approval according to EASA Part 145 together with the Production Organisation Approval. We perform maintenance for our own products as well as for parts of other manufacturers. 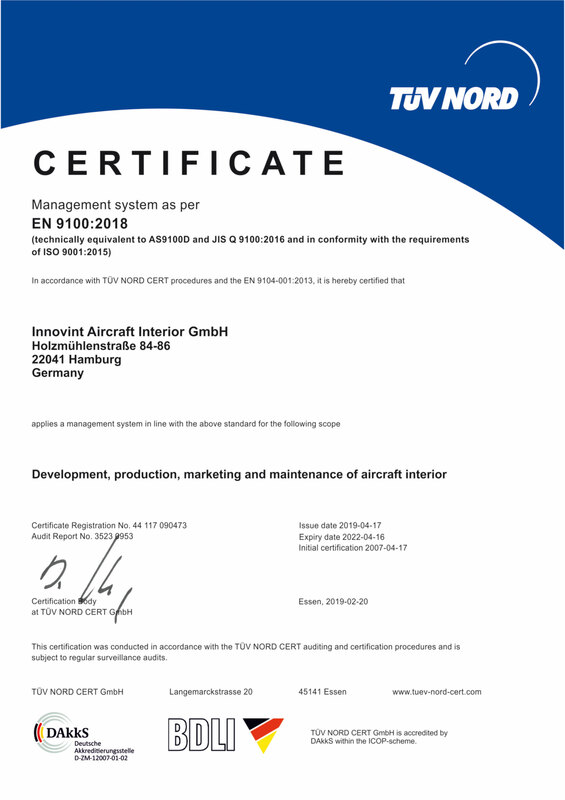 Innovint has installed the EN 9100 Aerospace series quality management system. Requirements based on ISO 9100:2009, technically equivalent to AS 9100 and JISQ 9100. 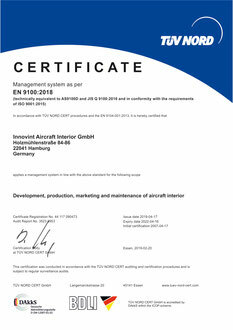 A quality management system for development, production, marketing and maintenance of aircraft interior. 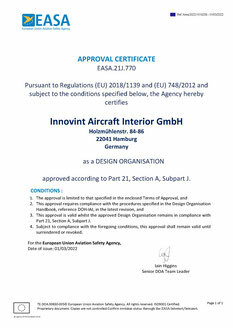 Innovint implemented all measures in accordance with the EU regulations for civil aviation security. 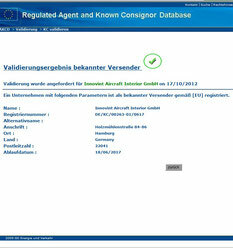 Since June 2012 Innovint is certified by the German aviation authority (LBA) as a Known Consignor. From now on Innovint originates air freight for its own account and our procedures meet the common security rules and standards to allow carriage of air freight on any aircraft. The certification guarantees an on time delivery and AOG service and as a Known Consignor Innovint enforces for all air freight the civil aviation security standard. 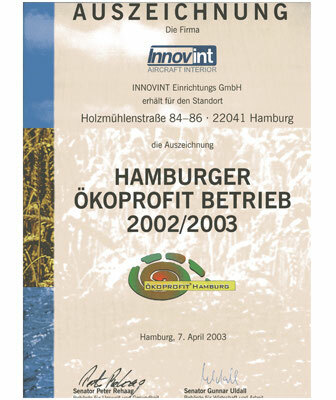 Innovint is a certified “ECOPROFIT® Company” since 2003. ECOPROFIT®, the "ECOlogical PROject For Integrated environmental Technology", is a program for sustainable economic development. The fundamental idea of ECOPROFIT® is to strengthen companies economically by using environmental-friendly technologies and simultaneously improves the ecological situation in a region.